This is a very busy construction year in the City. 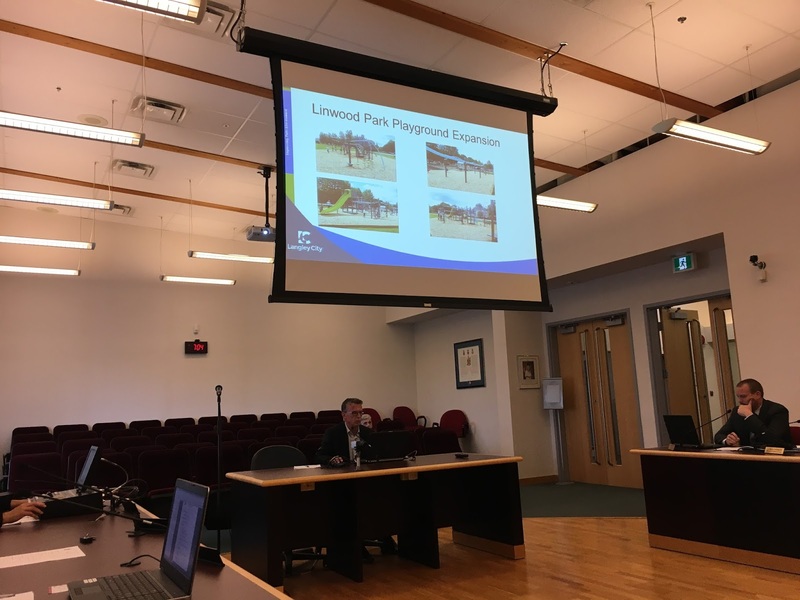 A slide from the City's Engineering Update about the Linwood Park playground expansion. Select image to enlarge. An example of the new “Langley City” direction signs on Highway 1. Select image to enlarge. On the topic of Penzer, there will be grand opening celebrations all day on June 29. At Penzer, there will be a parkour expert helping people try and learn the new action park amenities. There will be other activities as well for people of all ages. On the same day as the grand opening, there will be a School’s Out Party at Al Anderson Memorial Pool. This will be a busy day of activity. As a reminder, the Community Day Festival is coming up this Saturday. For more information, please check out the City’s website. One of the key focus areas for Langley City is community safety. This is why we have the highest policing to resident ratio in Metro Vancouver, and as I noted on Monday, invest more into protective services as a total percentage of expenditures than any other community in the region. I have the honour of chairing the City’s citizen-lead “Develop a Sustainable Program to Deter Crime and Target ‘Crime’ Hot Spots Task Group.” As I noted earlier, we meet for the first time a month ago. Council approved the first set of recommendations from the task group on Monday night. The first recommendation was to rename the task group to the “Crime Prevention Task Group”. 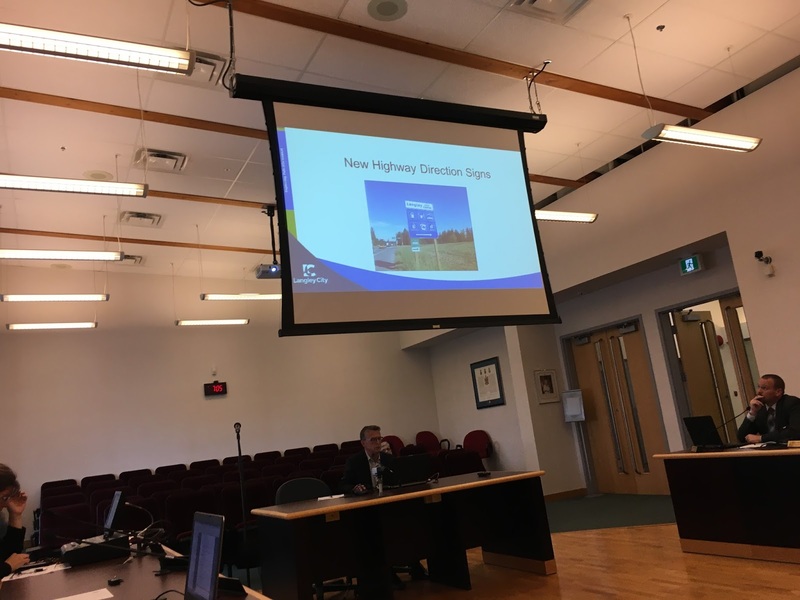 The second recommendation was to change one of the task group’s mandated goals to promoting the already existing RCMP program that provides Crime Prevention Through Environment Design reviews for businesses and residents. On the topic of policing, the federal government provides police services in our community, though the City covers 90% of the costs. Because provincial and municipal policing is contracted to the RCMP, the feds want to know if we plan on changing the number of RCMP members. Council approved sending a letter of approval to the federal government letting them know that we plan on maintaining our current RCMP member strength at 51.35 members. Because of labour cost increases, this will result in a 3% increase in our policing budget, and require a 1% increase in property tax revenue next year. Tomorrow, I’ll be posting on the City’s new five-year strategic plan which was approved on Monday night.